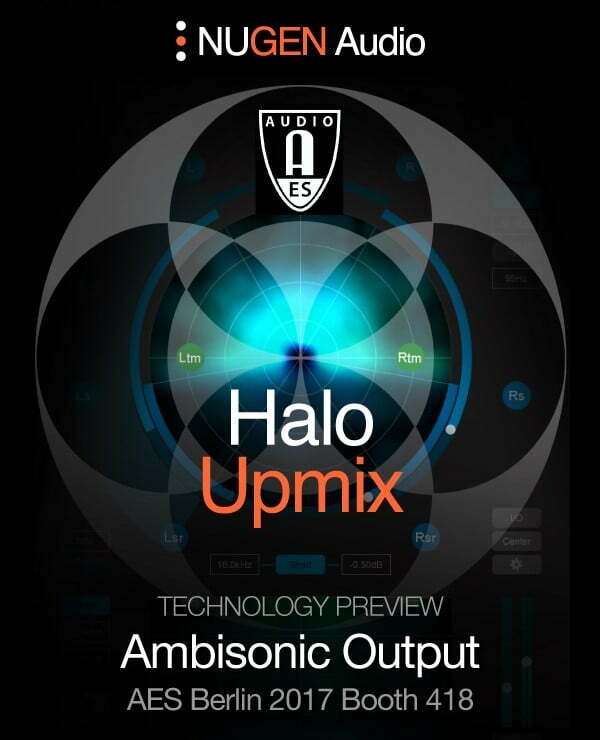 NUGEN Audio has released an update for its Halo Downmix, precision downmixing and surround-to-surround control plugin. 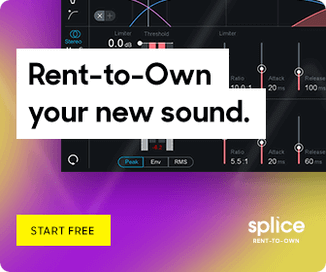 Halo Downmix is a highly creative new solution for delivering expert stereo downmixes of surround audio, and for precision control within an existing surround mix. This new video from Mike Thornton at Pro Tools export explains how to add Halo Downmix to your workflow for repurposing cinematic releases for stereo TV, restoring surround archive material, or for fine tuning a surround mix. dB gain range increased to +9dB. Various fixes: trim bypass, monofilter mute. Halo Downmix is on sale for $199 USD from NUGEN Audio and distributor Plugin Boutique until June 30th, 2017 (regular $299 USD). 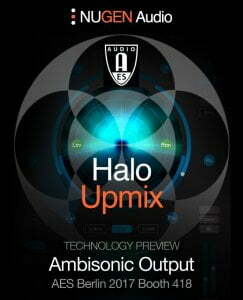 NUGEN Audio has also announced it will preview Ambisonic outputs for Halo Upmix at the upcoming AES Berlin convention. 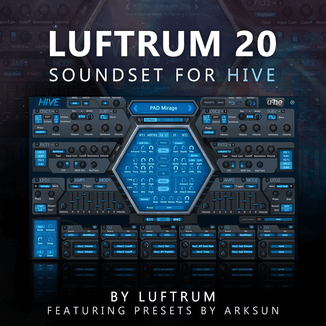 Hot on the heels of the Halo Downmix introduction at NAB in April, we’re exploring another new technology for Halo at AES Berlin – Ambisonic output as an alternative to channel based output for VR, game and other immersive applications. If Ambisonics are a part of your workflow, visit us at booth 418, or get in touch to find out more. Dr. Paul Tapper, NUGEN Audio co-founder will be giving a talk entitled “Digital Streaming: Implications for Mix & Mastering Practice” at AES Berlin 2017. Tapper will explain how the dramatic shift towards streamed audio in music delivery necessitates new approaches in mixing and mastering. Visit NUGEN Audio at AES Berlin, May 20th-23rd, at booth 418.